In 59 days, Boeing’s production freight train was set to accelerate. Instead, with the 737 Max grounded and deliveries halted, the company is slowing down, Boeing’s Chief Executive Dennis Muilenburg announced Friday. Starting in mid-April, the Renton, Wash. plant — home to the 737 program — will assemble 42 737s each month, a 19% rate cut and the lowest pace of output since June 2017. With 21 manufacturing days in a typical calendar month, Boeing will still build two airplanes a day even at the reduced rate. Under the FAA-ordered grounding, Boeing had a significant (but temporary) industrial reprieve. The March 13 emergency grounding order allowed for production test flights to continue under a “special flight permit.” That kept the production lines (and the global supply chain) humming. 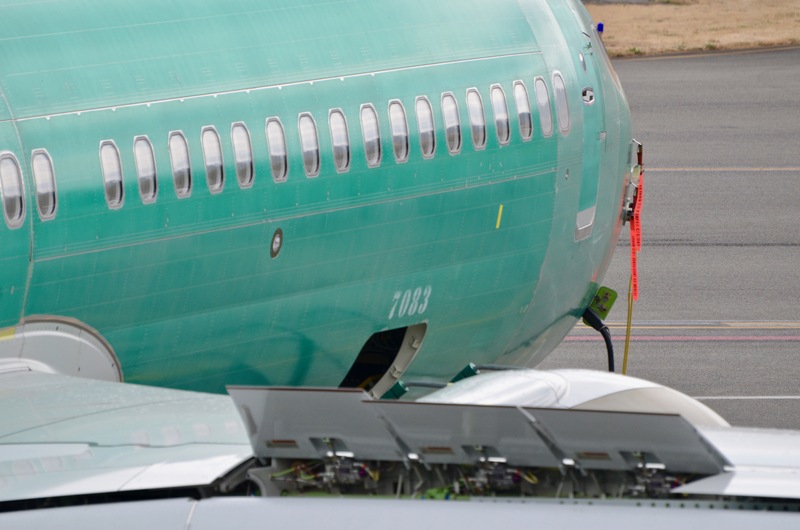 The 737 Max accounts for most of the Renton factory’s output at the current rate. Muilenburg said the reduction in output won’t result in overall change to employment levels, but suggested that personnel will be redeployed across other programs. Tucked between factory buildings in Renton, parked among twin-aisle airplanes in Everett, Wash., the lack of deliveries had left finished (or nearly-finished) aircraft piling up in all corners of the Boeing industrial universe. As Boeing slows, there’s a long chain of companies around the world that it has in tow behind its industrial locomotive, many of which are today already moving faster than Boeing’s own factories to prepare for its next acceleration. The output had been slated to grow by five more airplanes each month starting on June 3. But its supply chain is both tightly squeezed (on cost) and thinly stretched (to keep pace) and was already building longer lead time parts for 737 Max aircraft at a rate of 57 per month, well ahead of the long-planned production boost. Spirit AeroSystems, the largest single structural manufacturer to Boeing, says it will continue delivering parts for 52 airplanes each month and will store finished components, including the jet’s full fuselages, at its plant in Wichita, Kan.
How costly and disruptive the changing pace becomes is yet to unfold. Yet, the production rate change also comes as airlines and lessors are reporting increasing challenges with their financial performance and concerns of an industry overcapacity. That predates the 737 Max grounding and follows years of record output from Boeing and Airbus, fueled by a collapse in the price of oil and cheap, plentiful capital.